View cart “The Csound Catalog” has been added to your cart. Iain McCurdy is the king of Playable Csound instruments and this synth is an adaptation of one of our favorites. Using additive synthesis 10 harmonic partials are created and by simply turning a knob you can alter the spacing between them. This allows you to transition between tonal textures and wild effects—an indispensable tool for sound designers. Rory Walsh blew us away when he introduced his TrackerSplice UDO on the Csound Mailing List, so naturally we had to adapt it for real-time control. This plugin fills a buffer with your audio then stutters it back to you with MIDI-mappable, tempo synced control—and the added ability to play any Live stream in reverse makes this splicer a must-have. BeatSketch is a four voice drum synthesizer—you have the power to design a kick, snare, hat, and tone voice. In the way of modulation, there is a randomization system, which uses a interpolated gaussian distribution as a control signal. Every element of each voice, except for volume and panning, is modulated by this signal—experiment with attenuation amounts to get the most natural or unexpected sounds. 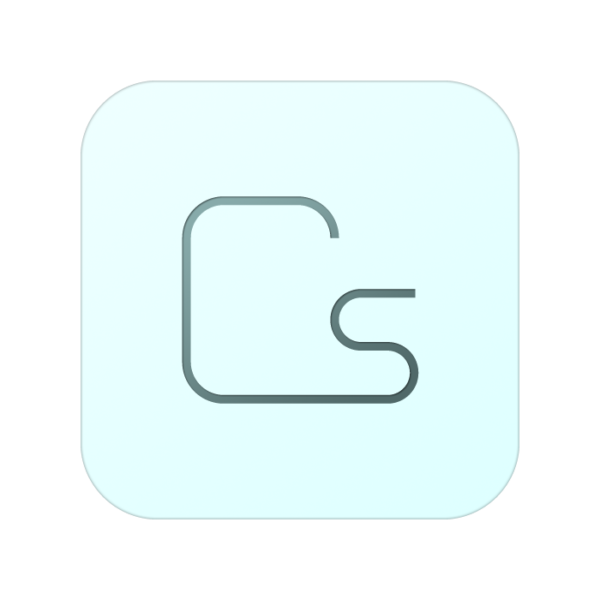 csGrain is a real-time audio processing and recording tool that lets you create new sounds and musical textures by transforming your voice, instrument, or favorite songs in subtle or dramatic ways. Under the hood is a stereo granular sound processor and 10 additional effects—all realized through a single Csound orchestra that is simultaneously: rendering, processing, sampling, resampling, synthesizing, resynthesizing, playing, reversing, delaying, triggering, gating, compressing, limiting, chorusing, flanging, echoing, filtering, pitch-shifting, harmonizing, granulizing, and recording—all in real-time and all with the power of Csound. Boulanger Labs presents csJam—a fun and creative music making app for children and music lovers of all ages. With csJam, you can improvise, perform and compose with a variety of synthetic and sampled instruments. The warm and beautiful sounds of csJam are rendered in real-time using one of the world’s most powerful synthesis and signal processing programs—Csound. csJam offers two sets of live instruments—four melodic and four rhythmic. These can be played along with software generated accompaniment or music composed by the player. Play, sequence, record, save, and share your music—let csJam bring out the composer in you. csSpectral is a real-time, Csound-based, multi-effects processor featuring a Streaming Phase Vocoder and six other FFT-based spectral algorithms. The diverse collection of real-time DSP effects let you create unique textures and timbres by transforming your voice, instrument, or iTunes library. 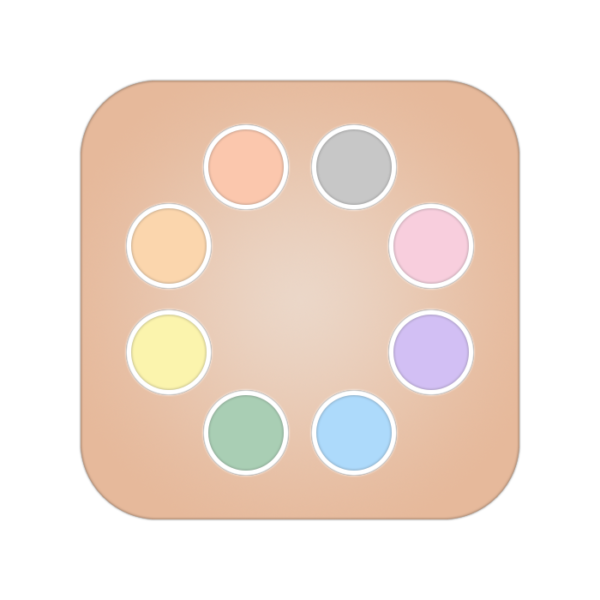 csSpectral also supports Audiobus, allowing you to send and receive audio from other apps, making the processing possibilities nearly endless. Metallics is a four operator Phase Modulation (PM) synth. PM synthesis has much in common with Frequency Modulation (FM) synthesis—the difference being that in FM synthesis the frequency of the carrier is modulated to produce harmonic and inharmonic sidebands and in PM synthesis the sidebands are the result of modulating the phase of the carrier. Metallics features four operators that can use a variety of waveforms to produce dramatic, complex and interesting spectra. These four operators can be configured into a variety of unique modulator-carrier arrangements and each features an independent LFO and ADSR. To round out the instrument there is a multi-effects section with a delay, chorus, phaser, flanger, comb-resonator and reverb. MonoClassic is a mono synth that, through its simplicity, provides immense power; great for designing dirty bass sounds, harsh analog textures or massive noise clusters. MonoClassic consists of two oscillators, amplitude and filter envelopes, two bandpass filters and a modulation matrix. All variables are capable of being automated and MIDI mapped—we recommend automating elements of the modulation matrix for some wild results. PitchModDelay is a delay processor that manipulates the pitch of delayed signals. Its features include: stereo spread, LPF cutoff and feedback control. The modulation section controls a LFO which is modulating the pitch factor on a phase-vocoded delay signal—this ensures that the delay time remains consistent while the pitch is being manipulated. Prkshn is a sound design tool that generates percussive envelopes and random rhythmic sequences. It's a single voice synthesizer with four sound generation modes and seven unique envelopes. Each mode and envelope uses a different synthesis technique to generate its texture—use the drop-down menus to experiment with both the voice and envelope options. While Live is playing activate Sync to enable Prkshn's sequencing function and your track will sync to the session's tempo. This comprehensive handbook of mathematical and programming techniques for audio signal processing will be an essential reference for all computer musicians, computer scientists, engineers, and anyone interested in audio. Designed to be used by readers with varying levels of programming expertise, it not only provides the foundations for music and audio development but also tackles issues that sometimes remain mysterious even to experienced software designers. Exercises and copious examples (all cross-platform and based on free or open source software) make the book ideal for classroom use. 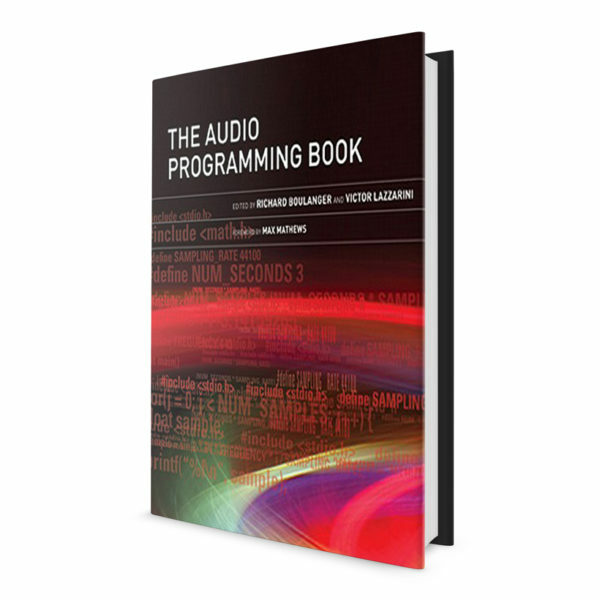 Fifteen chapters and eight appendixes cover such topics as programming basics for C and C++ (with music-oriented examples), audio programming basics and more advanced topics, spectral audio programming; programming Csound opcodes, and algorithmic synthesis and music programming. 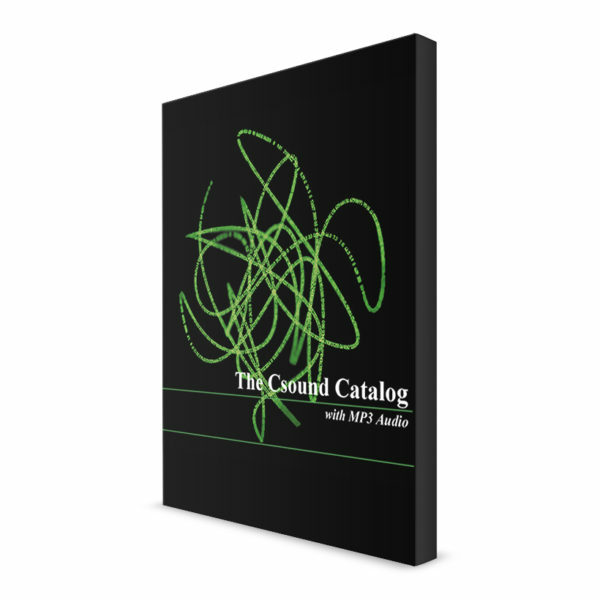 Appendixes cover topics in compiling, audio and MIDI, computing, and math. An accompanying DVD provides an additional 40 chapters, covering musical and audio programs with micro-controllers, alternate MIDI controllers, video controllers, developing Apple Audio Unit plug-ins from Csound opcodes, and audio programming for the iPhone. Created in 1985 by Barry Vercoe, Csound is one of the most widely used software sound synthesis systems. 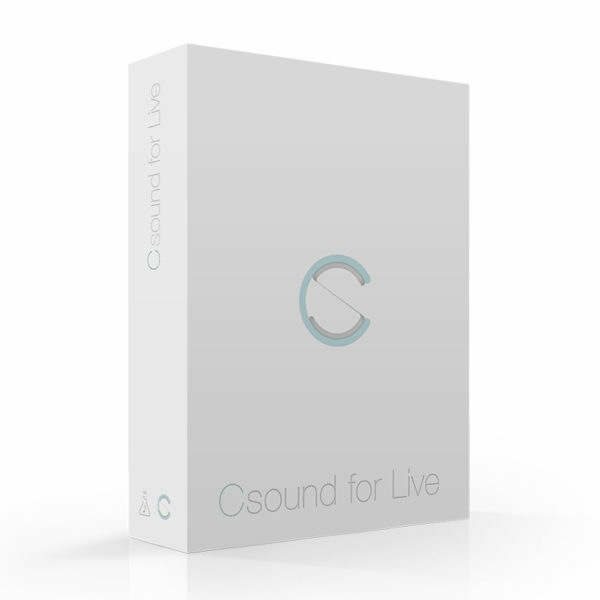 Because it is so powerful, mastering Csound can take a good deal of time and effort. But this long-awaited guide will dramatically straighten the learning curve and enable musicians to take advantage of this rich computer technology available for creating music. 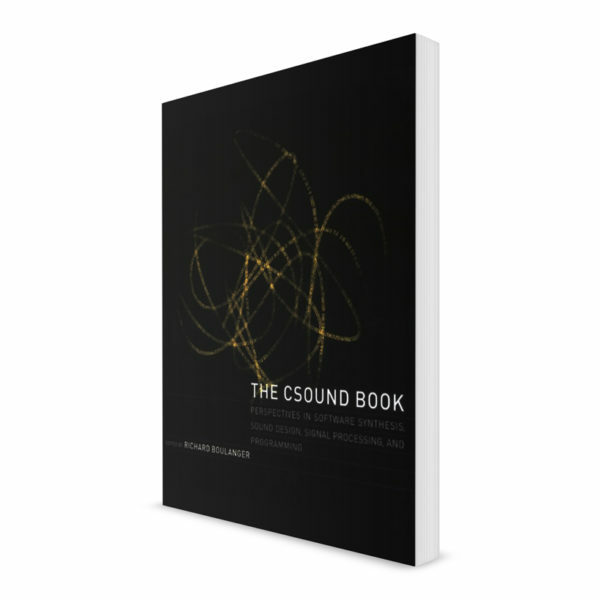 Written by the world's leading educators, programmers, sound designers, and composers, this comprehensive guide covers both the basics of Csound and the theoretical and musical concepts necessary to use the program effectively. The thirty-two tutorial chapters cover: additive, subtractive, FM, AM, FOF, granular, wavetable, waveguide, vector, LA, and other hybrid methods; analysis and resynthesis using ADSYN, LP, and the Phase Vocoder; sample processing; mathematical and physical modeling; and digital signal processing, including room simulation and 3D modeling. A collection of over 3,000 Csound instruments (.orc and .sco files), and mp3 renderings of them for quick access and review. Plus, a bonus collection of public domain samples. 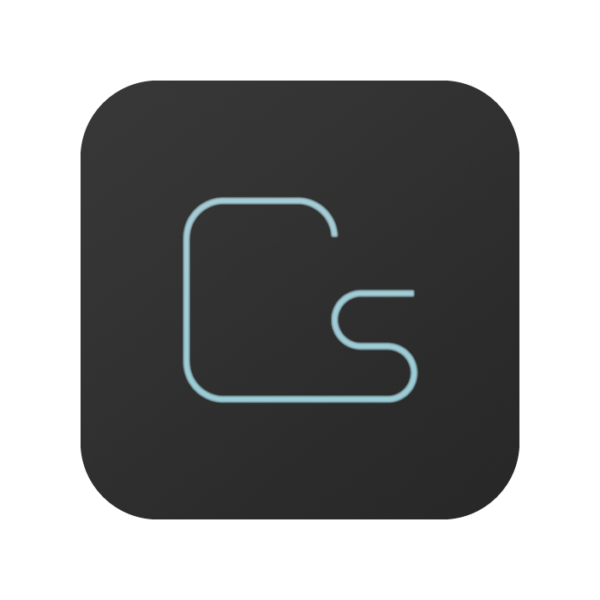 If you would like to learn Csound by studying innovative instrument models, or if you want to make your own CsoundForLive plugins, The Csound Instrument Catalog is a great inspiration and starting point! ©2019 Boulanger Labs. All rights reserved.